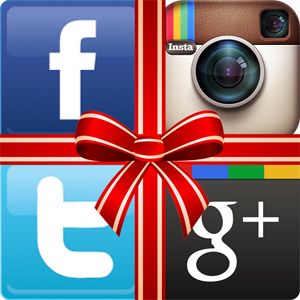 It may seem like a daunting task to make your holiday greeting stand out on social media. Before you throw out coupon codes or holiday videos keep a few things in mind. Entrepreneur Magazine said it well, “The holidays are a special time of year, highlighted by the three F’s – family, food, and fighting.” This is the time when retailers and brands have to fight the hardest for consumer attention during the busiest shopping time of the year. The holidays offer the biggest opportunity for brands and retailers each year, but it’s also highly competitive, and it’s crucial to perfect your social media presence. How can you plan ahead? What does your brand need to prepare for? Do you get sick of holiday advertising? You aren’t the only one. Make up for it by having your organic social posts something your consumers will remember: their own content. Businesses that can actively leverage user-generated content are the ones that will drive deeper connections with fans, and their fans’ friends. Highlighting real images and videos of your product or service can drive your messaging home while encouraging a more engaging following. No one really wants to work the weekends, and we all know the holidays can get a little hectic. Even though you may not be taking much time off from work, you’ll most likely be pulled away at unexpected times or will be on the road visiting family. It’s best to plan ahead and schedule posts in advance as much as you can. Tools like Hootsuite or Sprout Social are perfect for this. This ensures that your social profiles don’t wane when things get chaotic. Just be sure to have a plan in mind for consumer-responses! Never want to leave your consumers in the dark for more than 24 hours… could cost your brand a sale. Social media activity actually increases during the holidays, as people are online looking for gift ideas, sales, or socializing with friends visiting from out of town. This is the time when you want to actively post fresh content and engage with followers or risk missing out, and no one likes FOMO (fear of missing out). Don’t be a brand that hijacks a holiday and promotes content that has nothing to do with your brand or product. The holiday you’re celebrating should speak to your audience, not annoy them. Don’t jump on the holiday bandwagon if you don’t have content to support it or if it doesn’t make sense. Just be sure to always use your branded hashtag as well. Your social media should always primarily represent the values and personality of your brand, but if you want to get your audience in the holiday spirit you may have to change some of your imagery to reflect the holiday season. Use your cover images, social ads, and call to action imagery to your advantage- think of it as billboard space. Please please please don’t use cheesy holiday stock images! What’s your best social media holiday marketing advice? Please let us know in the comments section.